At the end of September, Microsoft unveiled Windows 10 with an eye toward the business market and productivity. 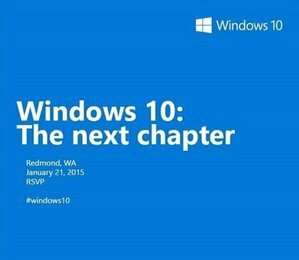 In January, Microsoft said it would detail the “next chapter” of Windows 10, revealing new features for consumers. Microsoft announced that it would hold a Webcast and an in-person event in Redmond on Jan. 21, where chief executive Satya Nadella, plus senior executives in Microsoft’s Operating Systems division—Terry Myerson, Joe Belfiore and Phil Spencer—will discuss the new operating system. 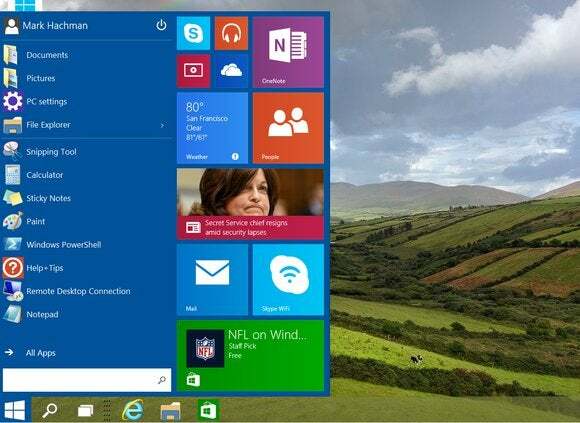 When Myerson, the executive vice president of the Operating System group, announced Windows 10 in September, he pitched it as an enterprise product with an interface that would be “familiar” for Windows 7 or Windows 8 users. “They will find all the tools they’re used to finding, with all the apps and tools they’re used to today,” he said. As it turned out, those features included the revamped Start menu; the new “task view,” virtual desktops and ALT-TAB features; windowed apps; and the new “snap assist” capability. Our hands-on of the Windows 10 Technical Preview was very positive, and Microsoft has been busy refining the OS and its features through subsequent builds of the new operating system: Build 9860 included notifications, for example, and the November 9879 build tweaked the toolbar and simplified the OneDrive experience. Microsoft subsequently said that it would not release any new builds over the holidays, and instead release new code early in 2015. An alleged early build of Cortana on Windows 10. In October, we talked about some of the consumer features we expect to see next in Windows 10: notifications; Microsoft’s digital assistant, Cortana; Internet Explorer 12; and an improved app store. We’ve seen enough leaks that it’s almost certain that Cortana will be included in the consumer build released on or about the January timeframe. Microsoft also showed off a “Continuum” concept where the UI would shift between the traditional Windows 8 Start page and the desktop experience, depending on whether or not a hybrid tablet or Surface was docked or undocked. Finally, there’s the business play—not Windows as a business tool, but how Microsoft plans to monetize it. There’s been quite a bit of speculation whether or not Windows 10 will be a free upgrade for Windows users, sold at a discounted price, or combined with some sort of services bundle or subscription to make up the difference. Microsoft chief operating officer Kevin Turner has indicated that Microsoft will begin addressing some of these issues early next year—whether or not Jan. 21 will be the date he does that, however, isn’t certain. Why this matters: While the inclusion of Cortana may almost be an anticlimax after the many leaks, it’s also arguably the centerpiece of the Windows Phone experience. 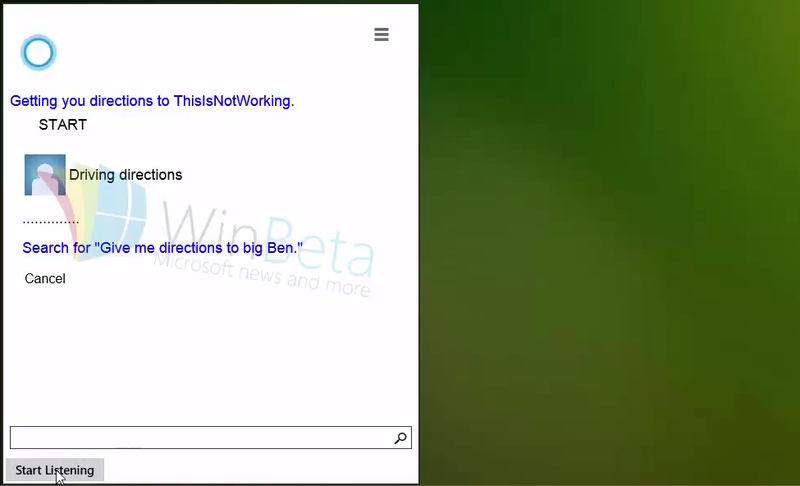 How will Cortana translate to Windows’ help functions? To your calendar? To Office? And what else does Microsoft have behind the curtain? While Microsoft traditionally showcases a few of its flagship features, hundreds more simply make Windows better, behind the scenes. The consumer reveal, then, could offer some valuable strategic insight as to how Microsoft takes Windows forward—as well as some new goodies for geeks to play with. We’re looking forward to this for both reasons.